Now that Ol' School Garage has two apprentices, I have given them their own project. 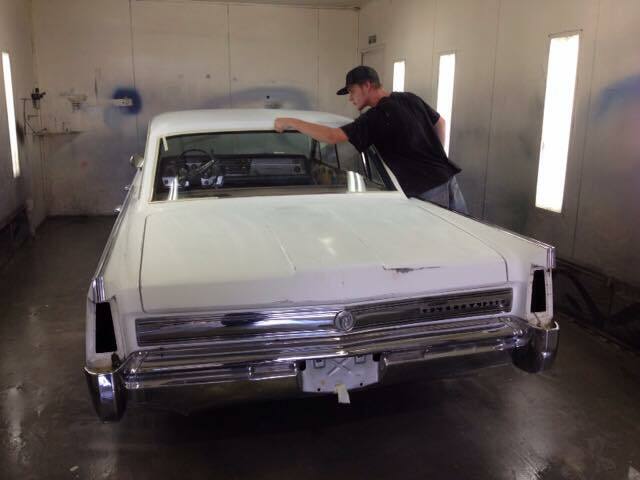 Alex and Trent have been preparing our 1964 Buick Electra 4-door hardtop for paint and new upholstery over the last few weeks. Today they received some help from Rob and Jackie to add a little bling to the roof. 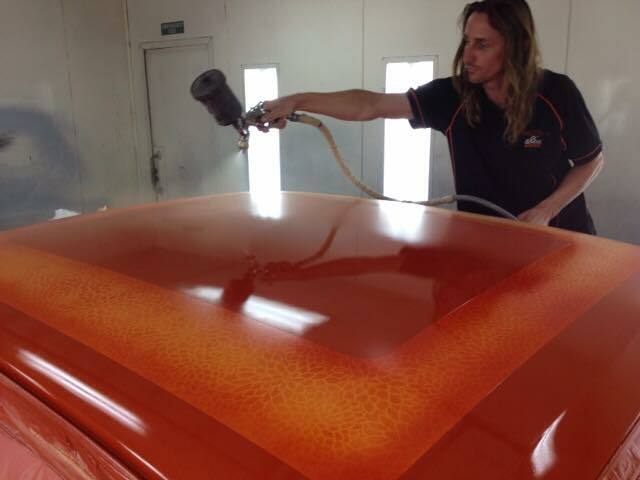 The roof has been finished in Ol' School Garage orange. The bling comes complements of some nice lace work and a gold pearl. The remainder of the car will be painted matt white on Thursday. Some pinstriping will bring everything together...a nice subtle touch. 'Ol' School Garage' will be written in huge black letters down each side of the car...not so subtle! 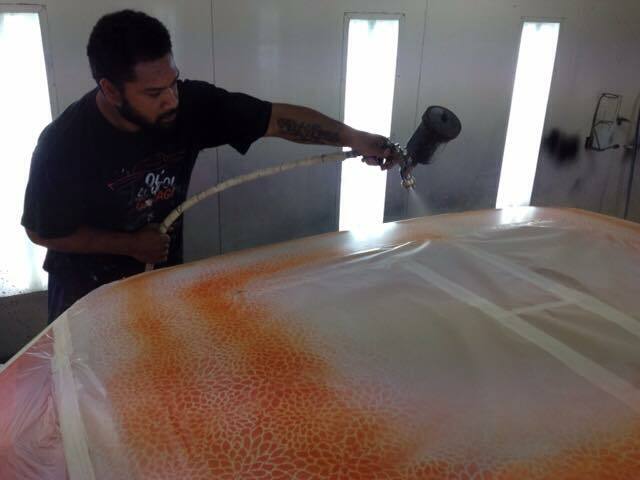 A new interior and very dark tint on the windows will complete the car's transformation into our new shop car. All that will be left to do is for the team to take turns driving it around on the weekend.